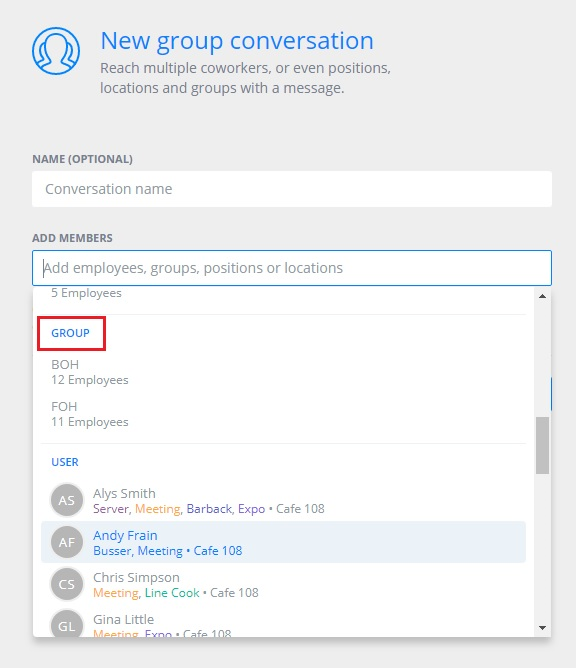 You can create groups to designate departments, teams, projects, and more. 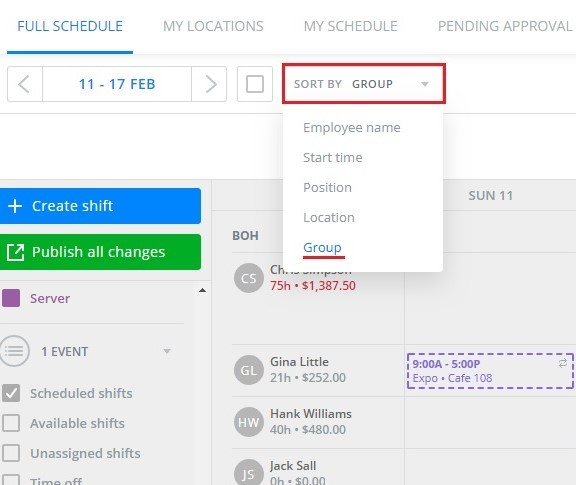 Groups are useful for targeting communication to the correct segment of your staff and for sorting the view of your schedule by department or team. To target tasks, messages, or Newsfeed pages to certain groups, just choose one from the list of available options you'll see rather than adding each person individually.